Tom Guardia, Lt. Doug Miller and Glen (Skip) Moorman look over a roll of film negatives. Storms came without warning sometimes, with the sun vanishing in a minute and water pouring down. At some random time the rain would stop and the sun appeared; the humidity was 100% and it was hot like I had never suffered before. 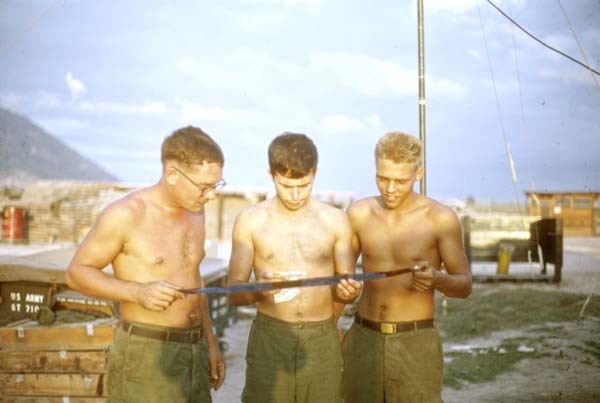 Temperature often exceeded 100 degrees in my hometown of Russell, Kansas but Vietnam wet season heat was much worse.